Go ahead, play with your food! 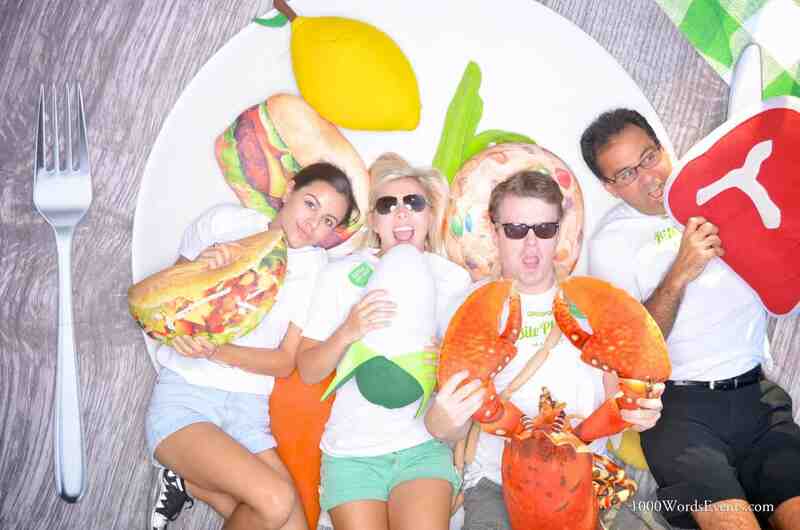 This past weekend, 1000 Words put people on the plate for a scrumptious Groupon photo booth at Bite of Seattle. The pictures turned out good enough to eat. 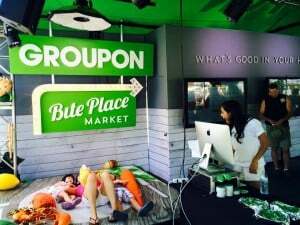 Groupon contracted us to provide photo services for the sponsor’s booth at the 2015 Bite of Seattle in Seattle Center. We set up two photo sets and four social media upload stations to keep guests engaged all weekend long. To keep in theme, we set up something far from our ordinary photo booth, creating a unique set design and experience for participants. Rather than having guests stand in front of a background, they got to lay down on it, with cameras and lighting overhead. The vertical background was a giant plate complete with a fork, knife, and oversized food props. Participants really got a kick—and a bite—out of it! 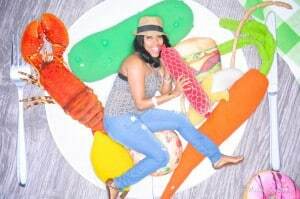 This different style of photo booth put people on the plate with more than 3,000 photos taken, printed, uploaded and shared throughout the three-day event. REI approached us to provide photo services for Demo Days, a recent event at the headquarters in Kent. We pitched the idea to do something different and use one of REI’s tents as the photo booth background—needless to say they loved it! 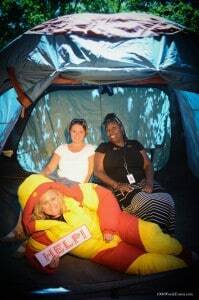 The tent and camping chairs were set up outside underneath leafy trees for participants to hop in and strike a pose. We captured smiles, sleeping bag suits, and screams of horror from those who saw an imaginary bear off-screen. 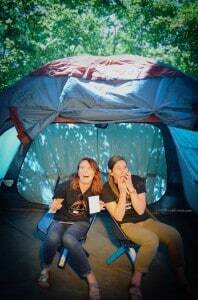 The Demo Days photo booth was a great way to feature REI’s camping products while also documenting those who attended the event. This subtle product placement acted as a fantastic background to match the mood and purpose of Demo Days while capturing the essence of the great outdoors. Check out our Facebook page for more fun photos from these events!